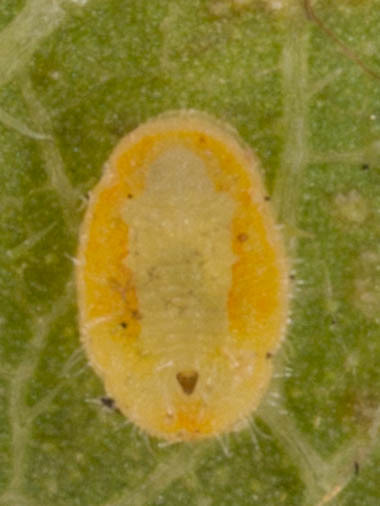 Found parasitized whitefly pupa on Celtis sp. on Dec. 2, 2016. Adult Encarsia sp. emerged on Dec. 13. Specimen sent to Dr. Andrew Polaszek, who said it "appear[s] to be Encarsia formosa... [the specimen] has a strange colour pattern due to its being killed before all the pigment has developed. This happens quite often." He also said that the species is cosmopolitan.